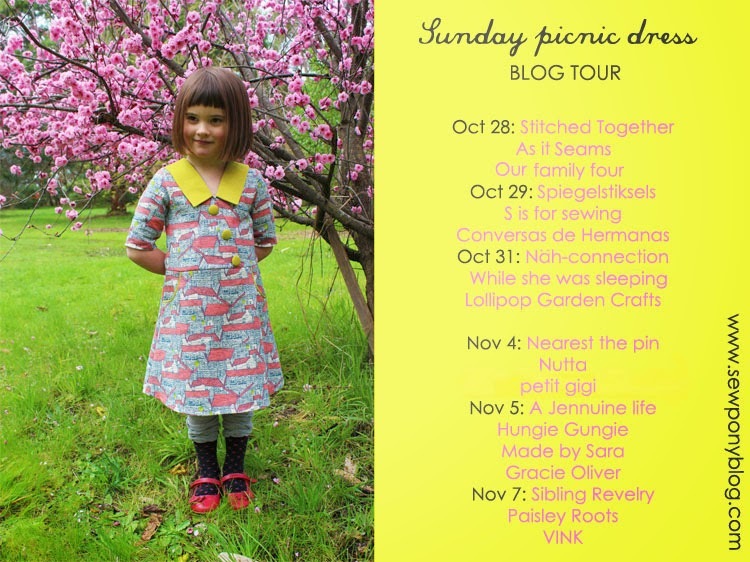 I have an exciting Sunday picnic dress blog tour beginning.....today! It's morning here in Australia and this evening my blog tour will start and will continue for six days over the next two weeks. Nineteen lovely bloggers (some of whom tested my pattern) will be sharing their creations made with my new pattern. I have had a sneak peek of a few dresses so far and I can't wait to see them all!! There will be a discount throughout the tour so make sure to come back tonight to see what my first three lovely tour participants, Rachel, Victoria and Erin have made! Your vintage style is so lovely! Can't wait to see more versions. how fun! this is such a cute dress! Can't wait to see so many wonderful versions of it!